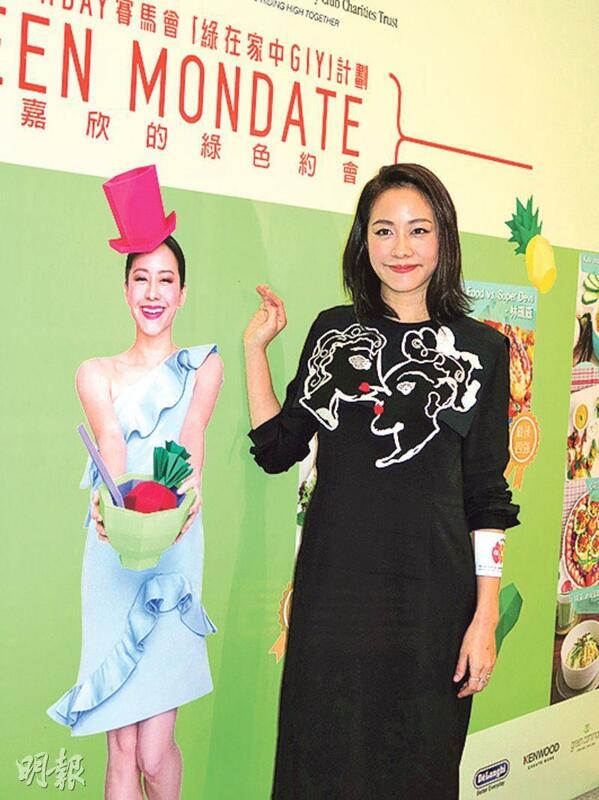 Karena Lam Ka Yun yesterday attended a Green Mondate event. Ka Yun revealed that her husband has been a vegetarian for four years. She would often cook for him. Ka Yun's HEAVEN IN THE DARK (UM SIK TIN TONG) co-star Jacky Cheung Hok Yau was nominated for a Golden Horse Award for Best Actor. Ka Yun picked him as the favorite. "Winning or not really depends on luck and fate. I want him to win. Although the other nominees are also very talented, no matter what Hok Yau will always be a good co-star, a good actor and a god." Ka Yun was not disappointed that she was not nominated. She was stricter with her own performance and thought that she still had a lot of room for improvement. [2016.10.15] SHAWN YUE KNEELS TO ZHOU DONGYU?